Choosing Penang to start our world travels was the best decision we made! We arrived to an island that is not only affordable and easy to navigate, but has so many things for families to do. I think is also helped that we met up with some amazing travel families (BohemianTravelers & TravelwithBender) right away! I know the key to our success was meeting up with similar and like minded families the moment we arrived. 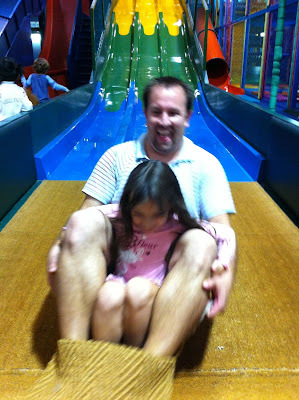 So here's what my kids really enjoyed while we were in Penang! What kid doesn't love a train ride? Especially a steep one! It offers stunning views of Georgetown and a slight reprieve from the heat since it's 2750 feet above sea level. Our kids loved standing at the back of the train as we moved up the hill. The top of the hill has a fun playground, beautiful mosque and temple, plenty of hiking trails, an auditorium for weekend performances and food stalls with cheap prices and yummy Ice Kacaang (ABC dessert). We just missed the snake show by the time we got to the top. Get the very back of the train going up and front going down for maximum kid fun. Train: 30RM A, 15RM K(4-12). A giant Central Park for Penangites with a plethora of things kids to do. The Youth Park sits at the edge of Georgetown and has tons of shaded play equipment and benches for parents to sit on and a water park with several fountains and cascading pools that the kids will spend all day in. Our kids loved exploring the park too! It has several walking trails, a skate rink, outdoor auditorium, archery, reflexology paths, giant chess set, artwork, exercise equipment, color eggs to crawl on, a food market offering snacks (ice cream), and, of course, wildlife (monkeys, monitor lizards). There is a very large lizard living under the artwork platforms at the top the cascading pools. My family and friends didn't warn me it was there so it scared the heck out of me when it ran away. Very funny! Be quick with your camera, it runs fast. A boat ride and a day at the beach with friends, what more could we ask for. 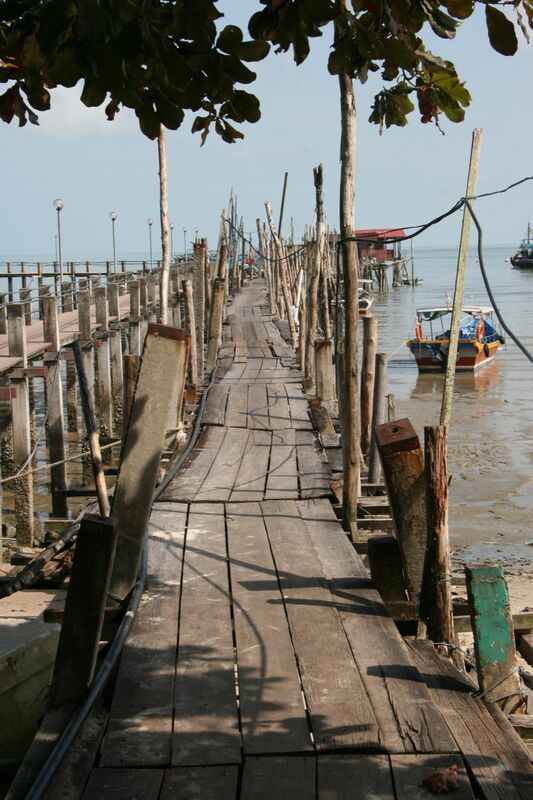 Monkey beach, which can be reached by boat or walking, is part of Penang National Park. Since we have little kids we opted for a fun boat ride. We had the most incredible day hanging out with friends (travelwithbender and bohemiantravelers). Kids never stopped playing the entire time we were there except to eat Fairy Bread, an Aussie specialty (Thanks Benders!). Watch out for the quick monkeys, they like to hang nearby to steal your food. It's monkey beach after all! We spent the entire day walking around Georgetown and it was HOT! Surprisingly, the kids had a great time with very little complaining. I think having a double stroller and lots of snacks helped. There are so many things to see and do in Georgetown which you can walk, cab, tuk tuk, or free bus it to. We've been there twice and the kids still want to go back and explore. We did get ice cream each time so that may be the reason. It seems like Penang hosts a fun event every other weekend. We've attended events such as Dragon Boat Races to an Iron Chef Competition to a Festival on the beach. It is great fun seeing what the locals do. And of course there is always yummy foods for the kids to snack on. We had a great time exploring the temple with our friends (travelwithBender). It is a hike up to the top with lots of vendors and incense every step of the way but the kids didn't mind. The kids loved crawling on the stone animal statues, watching the koi fish and riding the glass elevator to the top (4RM Adults, kids 4 under free). The bottom of the temple is where you feed the liberated turtles (1RM for turtle food) although the turtles didn't look very liberated. It is an amazing temple to visit. So many beautiful butterflies everywhere you look even on the ground so watch where you step! 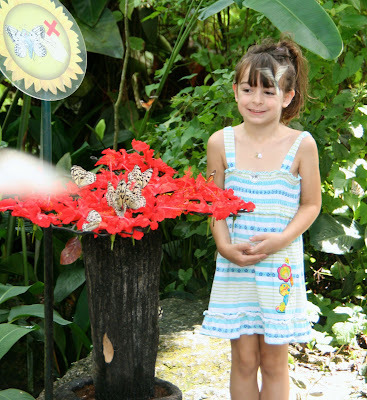 The aviary is the tropical world's first live butterfly and insect sanctuary with an impressive array of butterflies. We spent about 30 minutes outside with the butterflies then headed indoors for an air conditioned reprieve to see all the awesome bugs! So many bugs with lots of live critters like snakes and glow in the dark scorpions (How I love scorpions!) and lava, well fog my son called "lava". A bit pricey but entertaining for the kids at 27RM Adult, 15RM kids 4-12. Several hours of peace and free wifi while the kids play like crazy? What more could a parent ask for! Sundays at the Golden Sands in Batu Ferringhi will be the best afternoon you will have, I mean, kids will have. Lots of slides and play equipment for the kids and did I mention free wifi for the parents while the kids play. Go on Sundays at noon for their buffet lunch and you get one free admission per adult for Adventure Zone. Lunch is a bit of a splurge since the buffet will set you back 49RM per adult but kids eat free and then get play. Remember to wear long sleeves and socks. The giggling started the moment our feet hit the water and did not stop for the next 30 minutes. My fearless (except for crabs) son was so brave he stood right in the tank while the fish nibbled away at his feet. 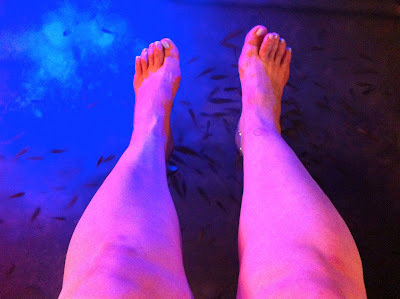 Fish spas seem all latest rage around the world and set us back 5RM. I started with the smaller fish and eventually got brave and moved to the larger fish take. It was more silly then relaxing but definitely a good time! I feel like a kid myself walking around the wet markets. So many fruits and vegetables and meat of all kinds. Our kids love exploring and pointing out all the different fish to us. Pick a beach, any beach and let the kids run free. We especially loved the beaches in Batu Ferringhi where we stayed. Find a restaurant or food stall on the beach and enjoy watching your kids play for hours. Our favorite spot was the food stall across from the Spice Gardens with a yummy chicken dish the kids devoured and my favorite Ice Kacaang (ABC dessert). We did rent a car for a week (wish we had it the entire time we were here!) and drove around the island. It is a very windy road that opens up to beautiful views and quaint towns along the way. We stopped to see the Tropical Fruit Farm and the Titi Kerawang Waterfall. The TFF had great views and overpriced fruit. The kids found it quite boring so we skipped the tour. The waterfall was beautiful yet not safe for little kids with slippery rocks, tight parking and lots of mosquitos. They did enjoy the ride around the island. There are SO many more things to do in Penang with kids such as swimming at fancy hotels for the day, the Spice Garden, The Botanical Gardens, night markets, the list goes on and on that I found it hard to stop at 10. These are just some of the things my kids loved to do and want to do again. What is missing from the list? 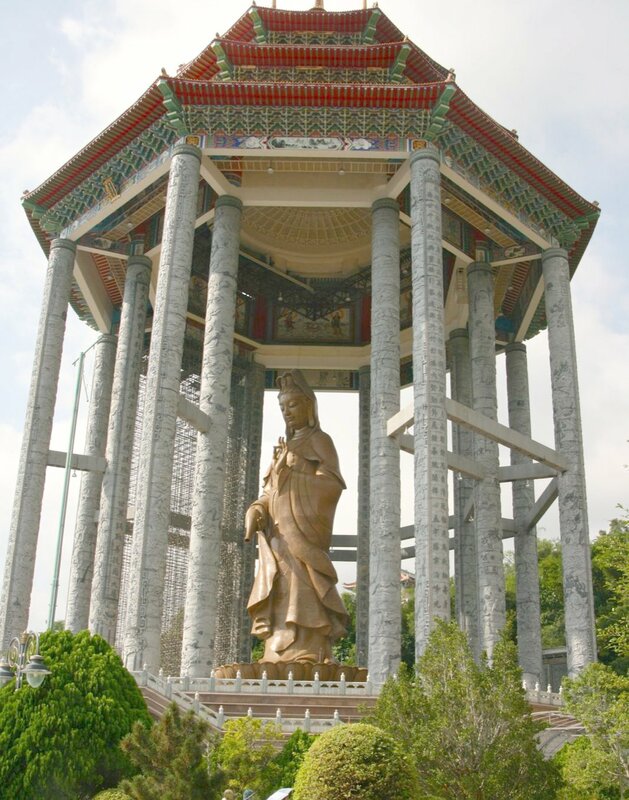 Did you have a favorite activity in Penang? We'd love to hear in our comments below! What a great website to follow! This will be fun to watch and also helpful in learning about different travel places around the world that are more unique to go to. Thanks for the information. I will be checking back with you. So did we! We miss you and hope you're enjoying NYC!! Merry Christmas to the five of you! Reading your blog has been such fun, and it looks like you're all staying well and having a blast! What an adventure!